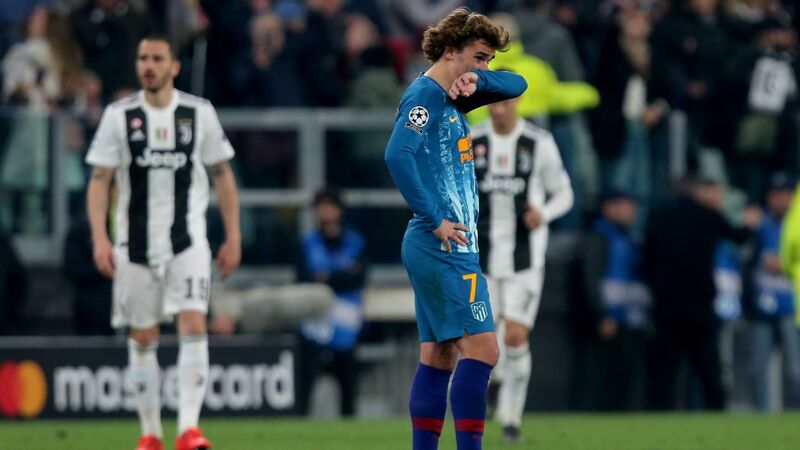 Antoine Griezmann said Atletico Madrid "picked a bad night to f--- up" after they lost 3-0 at Juventus to go out of the Champions League 3-2 on aggregate. Cristiano Ronaldo scored a hat trick, his third coming from the penalty spot late on, as Juve turned the tie around to put themselves in Friday's quarterfinal draw. 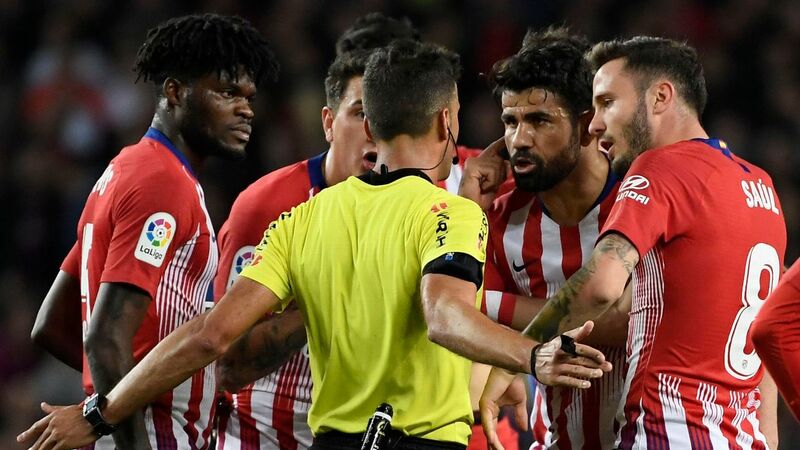 Atletico failed to muster a shot on target all evening, and Griezmann said the Spanish side had been outplayed. 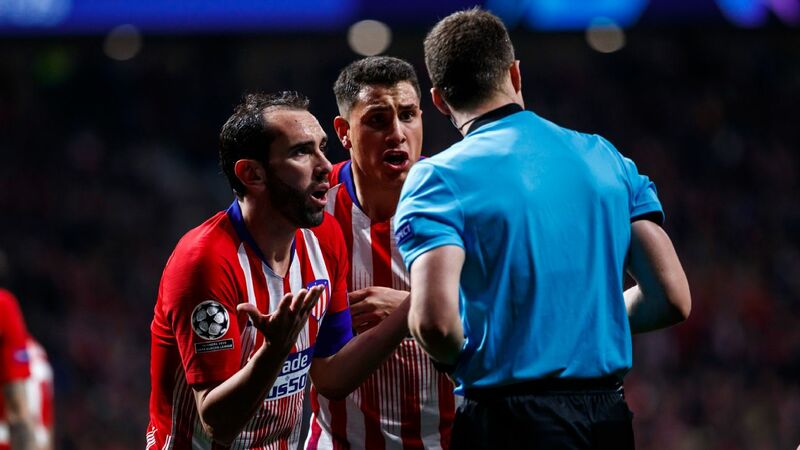 "We never got our game going," the France forward satold Movistar TV. "We picked a bad day to f--- up. Sorry for the expression. "It was a bit of everything. They were superior on all levels, as we had been in the first leg." Antoine Griezmann and Atletico Madrid couldn't protect their two-advantage over Juventus. 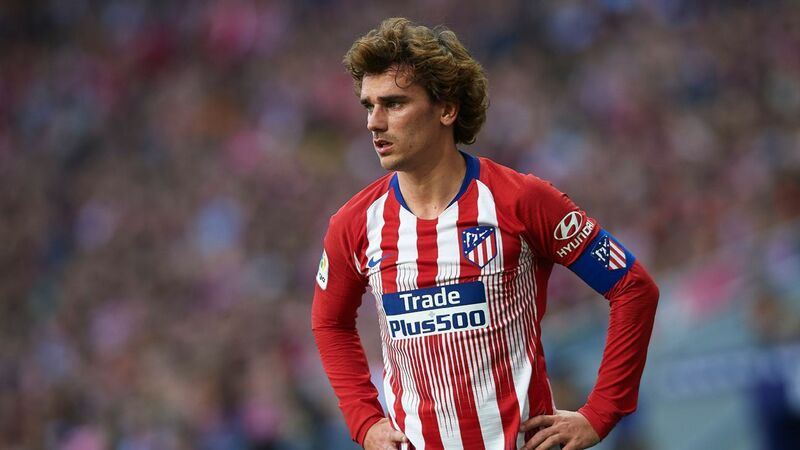 Griezmann said Ronaldo, who has 25 goals in 33 games against Atletico, "is a great player" but had been given too many opportunities by the Atleti defence. He added: "In the first game, we defended well and he had no chances. Today he had three and put all three away. "We all feel screwed, me the first. I could not get into the game. It was completely different from the first leg, when I made us play. It was not our day today. 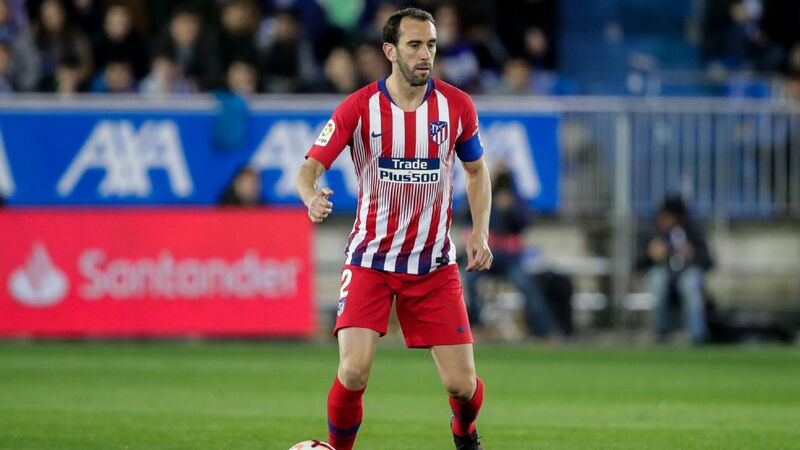 "I remember the game against Bayern [in the 2016 semifinals, when Atletico won on away goals], it was a bit the same. That day, we were able to fix things at half time. Today, we could not." 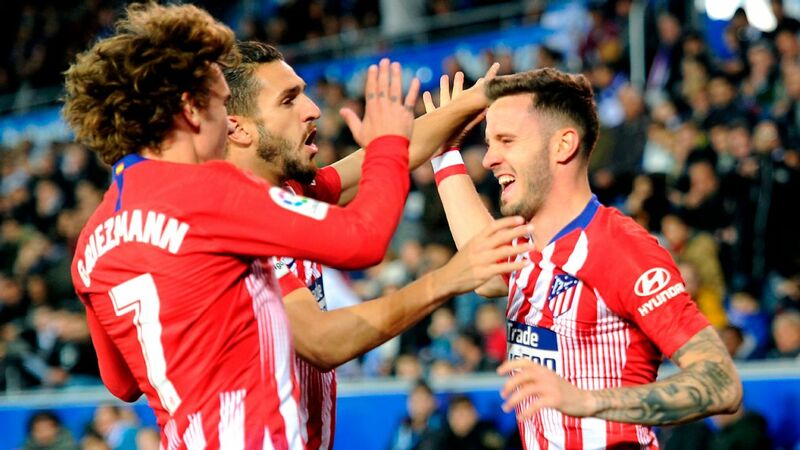 Atleti coach Diego Simeone admitted his team had been beaten by the better side, telling Movistar: "Tactically they were better, they were better on the second balls, that is why they won the game. "They pushed us back -- you must congratulate a rival when they play a game like that and you are beaten like today. They were better, and they deserved to win the game." Simeone praised Ronaldo's contribution, and said he was not bothered that the Juve star had replicated his explicit gesture celebration from the first game in Madrid. "Cristiano is one of the best players in the world, and it is normal that he appears in games like this as he did today," Simeone said. 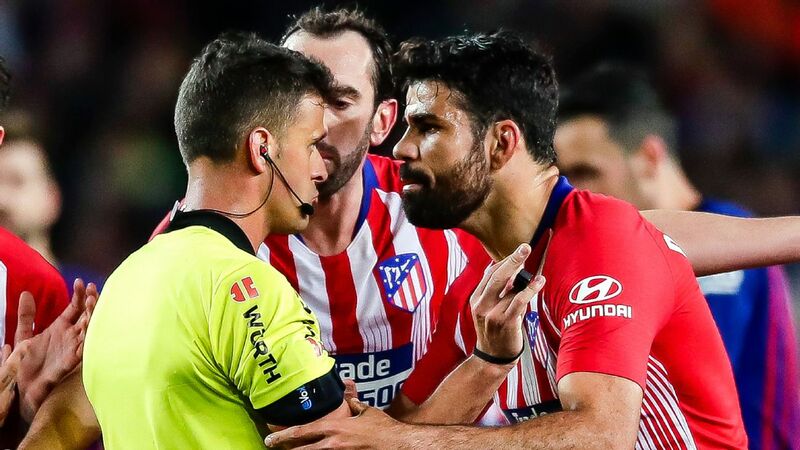 "For sure he did the same as I did at the Wanda [Metropolitano], thinking about the fans and showing the personality of a great club like Juventus."